Book in One Word: SOGOOD. One of the best things about The Girl of Fire and Thorns was that so many people said it was GOOD and they were so right. It pains me that I haven't been able to read the sequels yet--which I immediately requested from my library and almost just bought because I wanted them that bad. In a sense, this book is so simple, but in a way that's totally good and sophisticated and just so damn good. The Girl of Fire and Thorns starts with newly-turned-sixteen Princess Elisa de Riqueza of Orovalle preparing to walk down the aisle as part of an arranged marriage with King Alejandro de Vega of Joya d'Arena (who's older and has a young boy from his deceased wife), courtesy of her father. I totally did not expect the book to start this way. I've heard enough about this series to know what THE SHIP is, and whenever that happens with any book I can't help but wonder what's going to happen to people who seem to try to be that ship. And I don't want to spoil anything, but I will say this: I had a bit of a ship going, and I knew it wouldn't--couldn't--go anywhere, but then Rae Carson made it clear what kind of this series this is going to be, and whyyy, it's going to huuurt. Rae Carson's writing almost comes off as stilting. It's the kind of writing that could kind of. Read like this. Sometimes. If that makes sense. But here, it doesn't. Her words flow smoothly, and they fit Elisa's voice, the royal scenery, and a setting that has Spanish qualities and is filled with a desert. This book has some humor, political warfare, magic, romance, friendship, adventure, a setting I don't see a lot of in books, HEARTBREAK, and so much more. In short, I need to read all the Rae Carson books. 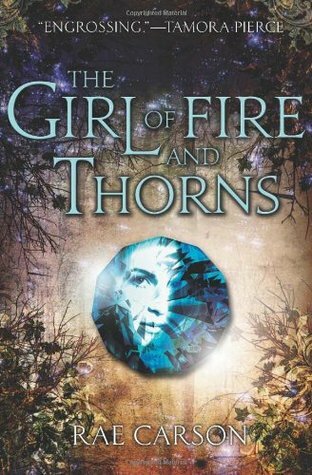 There wasn't really anything I disliked about The Girl of Fire and Thorns. This book was--and is--GOOD. The characters are good, the writing is good, the setting is good, the story is good--everything is just GOOD and executed and done well. It's this fantasy world mixed with religious and magical elements that creates a lush story despite its deserty setting. And this review should be way more flaily, but that's what happens when you write a review like a month after finishing a book. 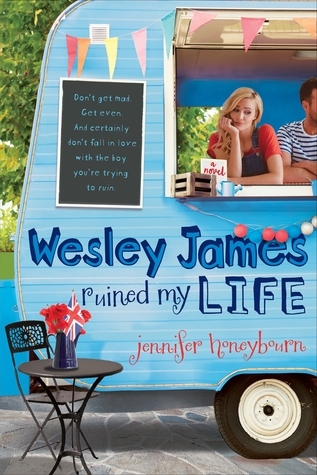 But let me sum up this review for you in three short and quick words: READ THIS BOOK. Would I purchase it? I've only read the first book in this trilogy so far and I want to own all the books so bad. Who would I recommend it to? EVERYONE. Fantasy fans, yes, definitely. But if you like stories that are just plain good stories then you should read this. I'm glad you liked this one. I have heard great things about the series and I still need to read it. It's on my list so I'm hoping to get to it soon. Great review. I adored this book too! I read the middle one, but I haven't gotten around to the last book yet. I need too! This review made me remember just how much I love this series! This book is going on my favorite list. If I could get it higher than 5 stars I would. I absolutely loved it!